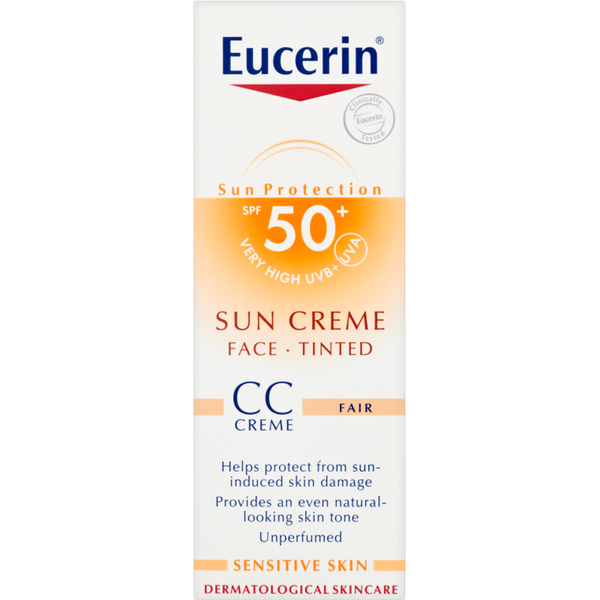 Protect your skin with Eucerin® Sun Protection Sun Crème Tinted SPF 50+, a non-greasy, subtly tinted facial sunscreen that works to protect the skin, and its cells, from harmful UV rays whilst imparting a natural, even looking tan with light mineral tinted pigments. 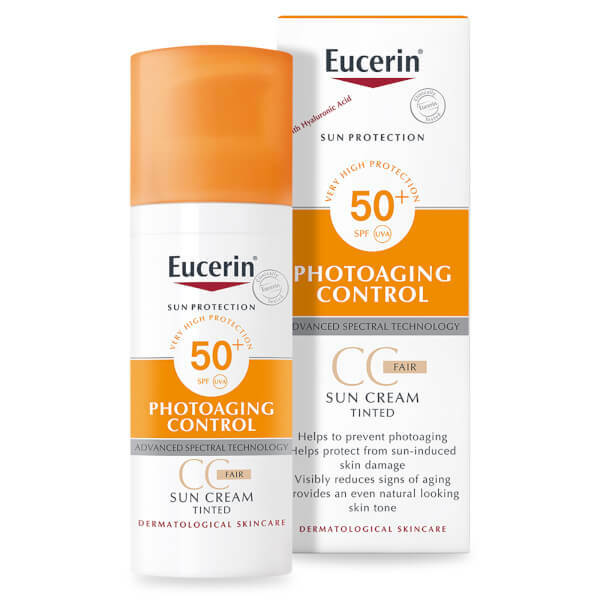 Highly effective, the tinted sun lotion will not only protect from damaging rays, but also prevent further darkening of pigment spots on the skin. Expect a sunkissed glow and expert protection. Oil and fragrance free. Non-comedogenic. SPF 50.